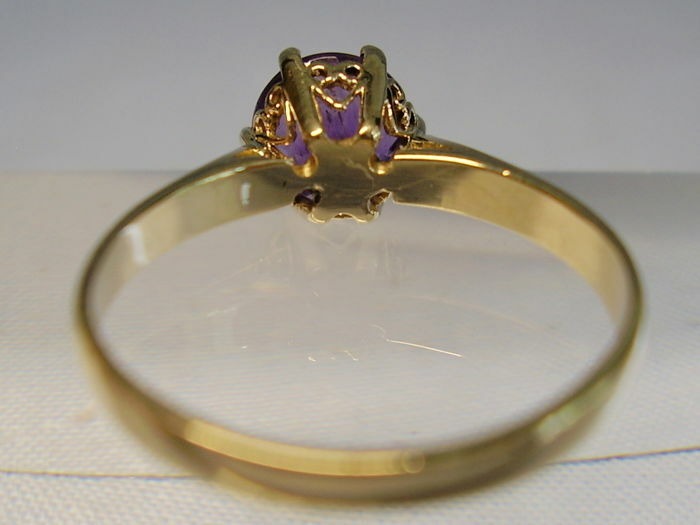 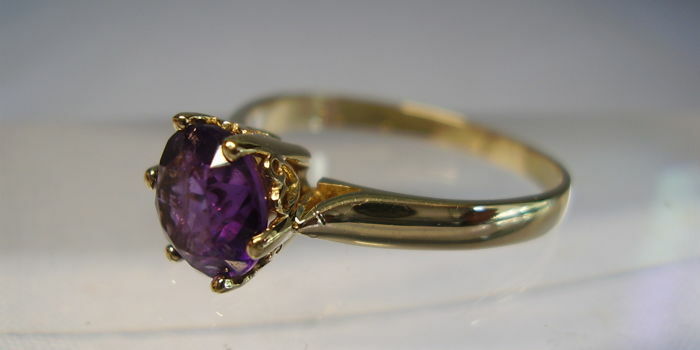 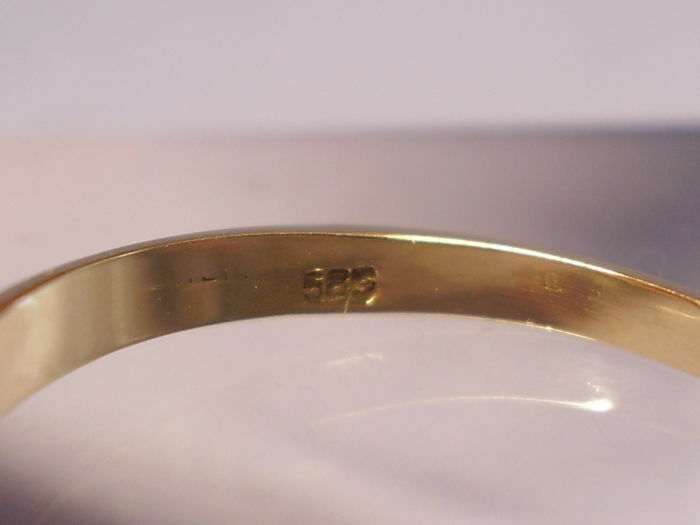 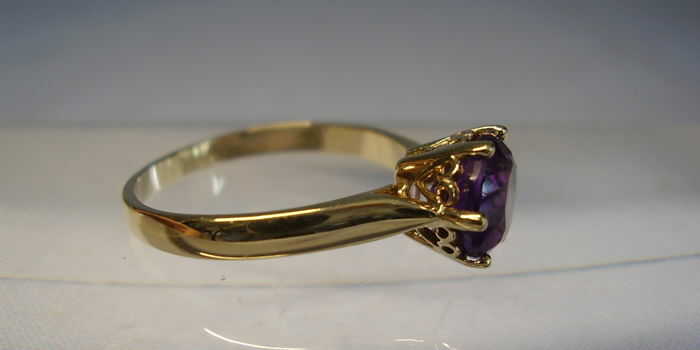 The ring is made of 585 = 14 kt yellow gold and hallmarked accordingly. 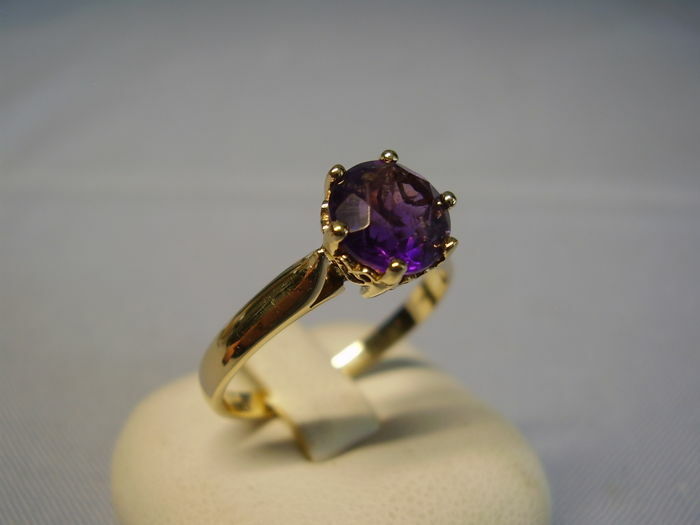 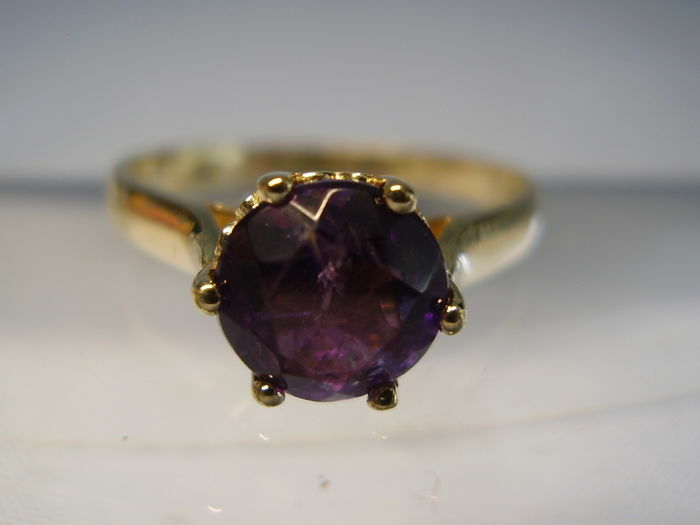 The ring head is designed in the shape of a small coronet and is set with a round faceted, natural amethyst of beautiful colour with natural inclusions. 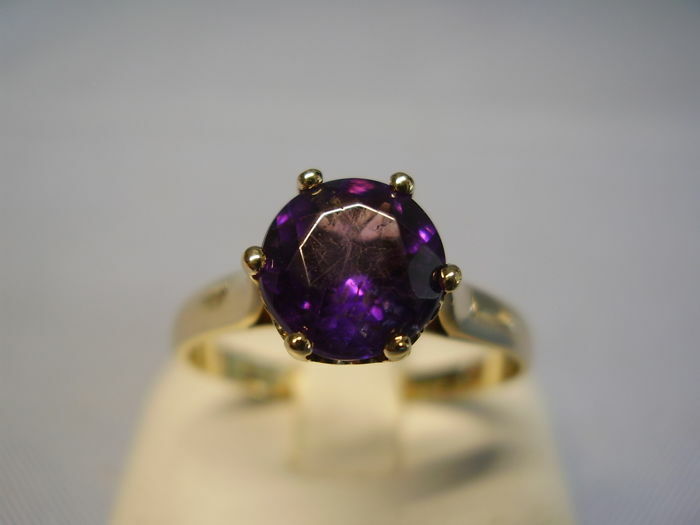 Amethyst 7.2 mm in diameter = approx. 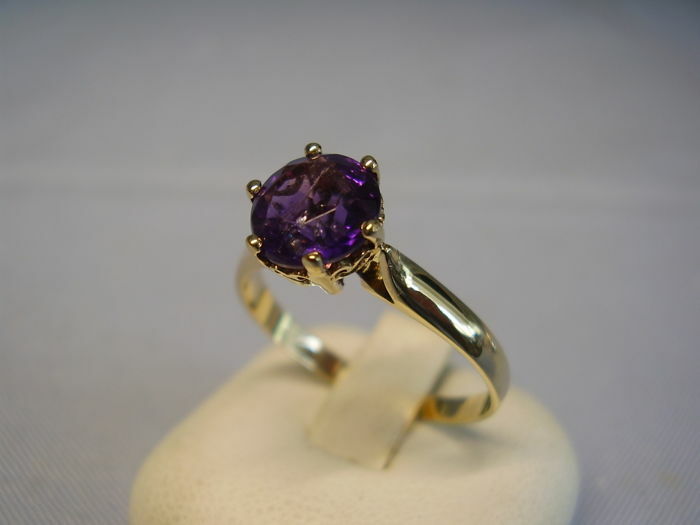 1.50 ct.